This Webinar is for Lawn & Landscape Business Owners Who Want to Guarantee Financial Success! Are you on the road to a wealthy future? A future that creates a 7-figure net worth? 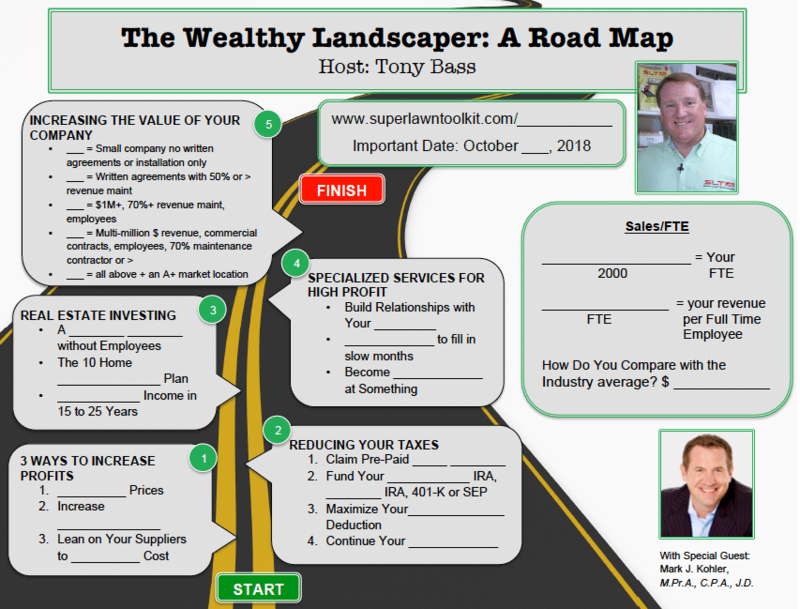 Watch this webinar to learn 5 strategies that ensure you become a WEALTHY landscape business owner. Download and print the handout to help you map the process as you watch the webinar! Click the Images to Download! CLICK HERE TO REGISTER FOR THE 2018 SUMMIT! has a growing bank account and a road map to build wealth. We share that detailed road map used to build a 7-figure net worth on this webinar. If you feel like your hard work is falling short of your wealth accumulation goals, then watch this webinar. If you think you're doing pretty good, but want to do better, watch this webinar. If you already have a 7-figure bank account, good for you! Watch this webinar to make sure you haven't missed out on any of the techniques or tactics that can make you even more wealthy. It's a matter of choice. You can CHOOSE to be wealthy, average, or dead broke. If you are busy - busy - busy and feel like you could work 24 hours a day, 7 days a week, 365 days a year and still not get caught up, you're probably right. It's a fact that being busy does not equal being wealthy. And that's why you need to watch this webinar. It's your choice to be wealthy, average or dead broke... because how you use your time is the single most important decision you will make. On this special webinar event, you will receive a detailed road map of how to create your own 7-figure future. Tony Bass has been an entrepreneur since 1987. He is the Founder & CEO of Super Lawn Technologies, which provides lawn & landscape contractors with tools to increase productivity and profits. Tony has written seven books, including co-authoring The E-Myth Landscape Contractor with Michael E. Gerber. 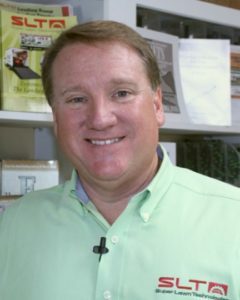 He bases his counsel on 30+ years of green industry experience, which includes founding, growing and selling his initially small landscaping business for a seven-figure profit. 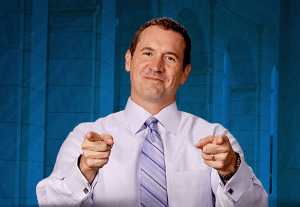 Tony is on a mission to teach 10,000 lawn & landscape business owners how to double profits in 12 to 24 months. 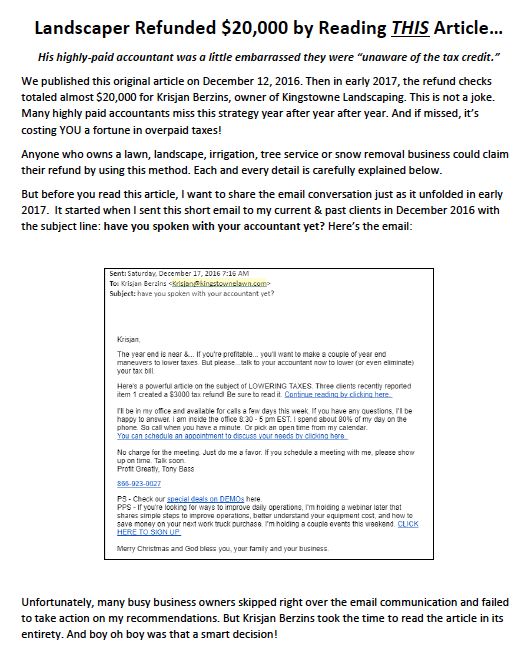 Mark J. Kohler, is a best-selling author; national speaker; radio show host; writer and video personality for Entrepreneur.com; real estate investor; senior partner in the law firm, Kyler, Kohler, Ostermiller & Sorensen, and the accounting firm of Kohler & Eyre, CPAs. Mark is a personal and small business tax and legal expert, who helps clients build and protect wealth through wealth management strategies, and business and tax remedies often overlooked in this challenging, ever-changing economic climate.